Share your favourite Egg recipes to win big basket Gift Card worth Rs.500 Scrambled Egg, Omelette, Sunny Side Up, Deviled Eggs, Poached Eggs or simply Fried Eggs – Eggs are rich in protein, essential minerals and vitamin B! Share your diet conscious recipes to win a bb Gift Card! Submit your recipes here. Submissions filled in full are highly preferred for the contest. 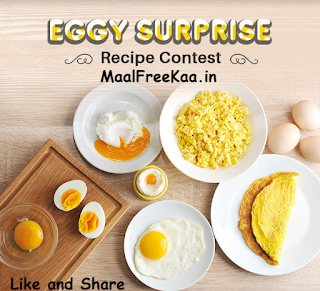 Prize: Best Recipe to win a bigbasket Gift Card worth Rs 500! Contest Duration: Mar 28 to Apr 3, 2019.